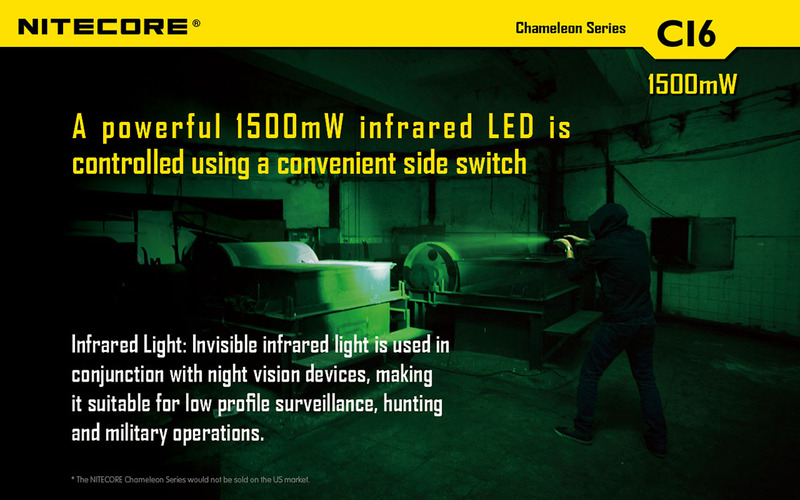 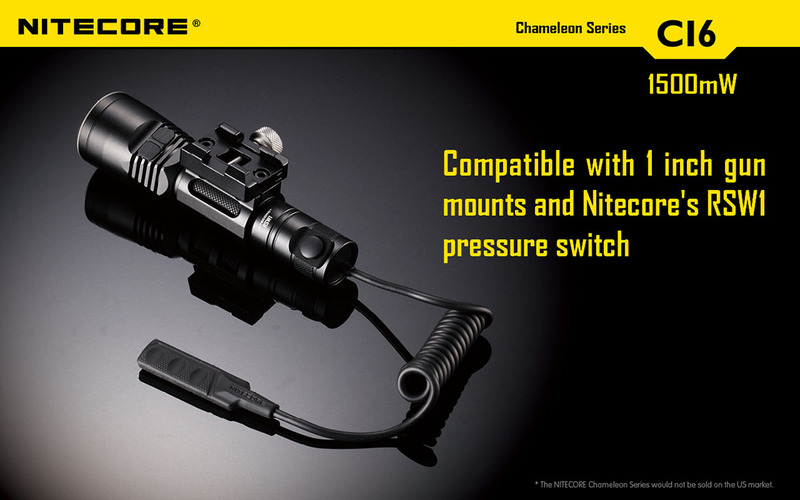 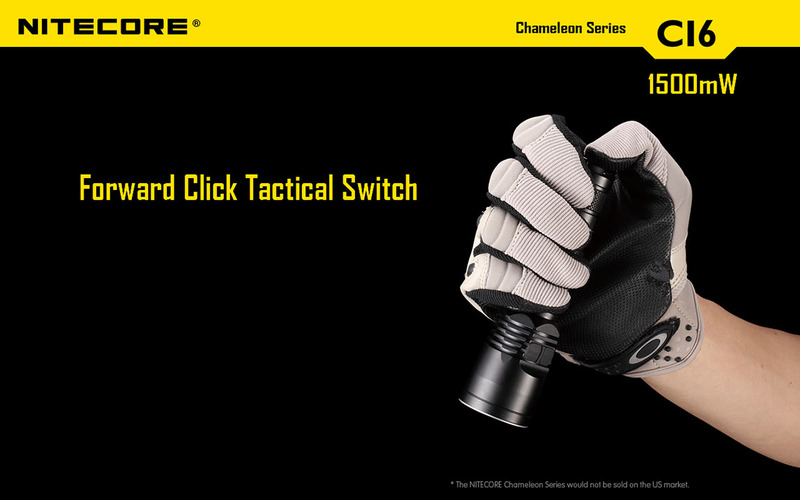 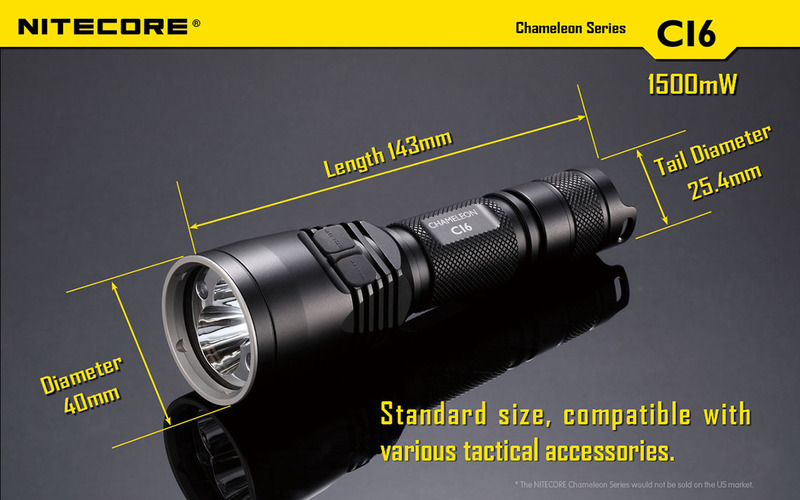 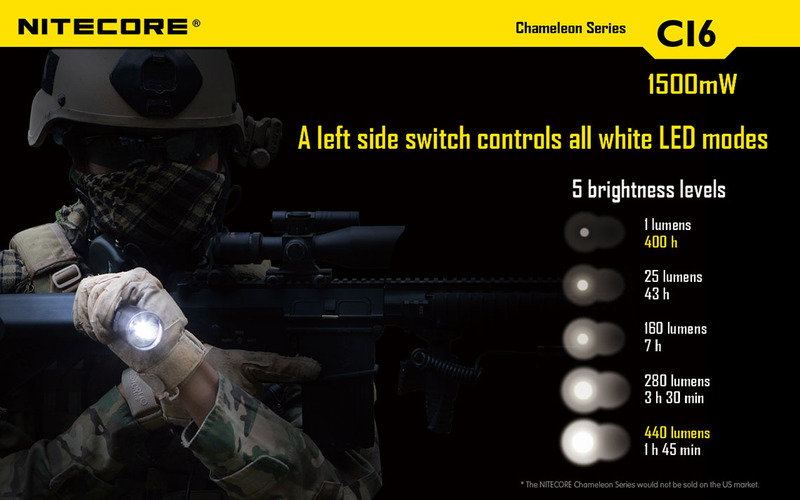 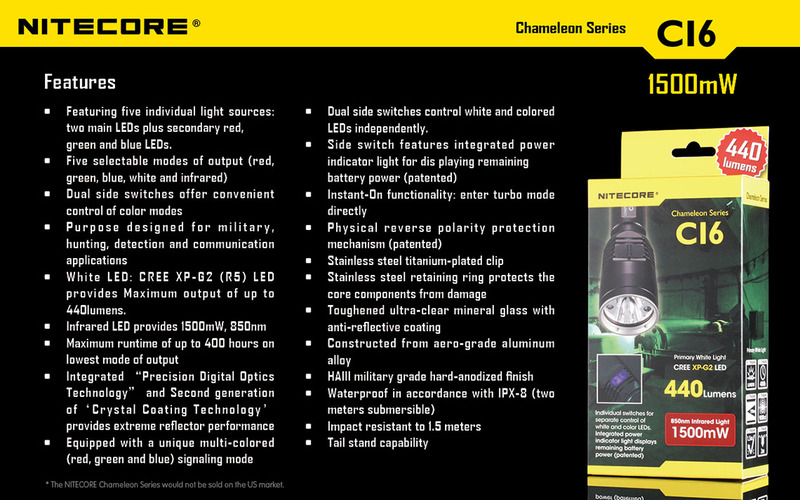 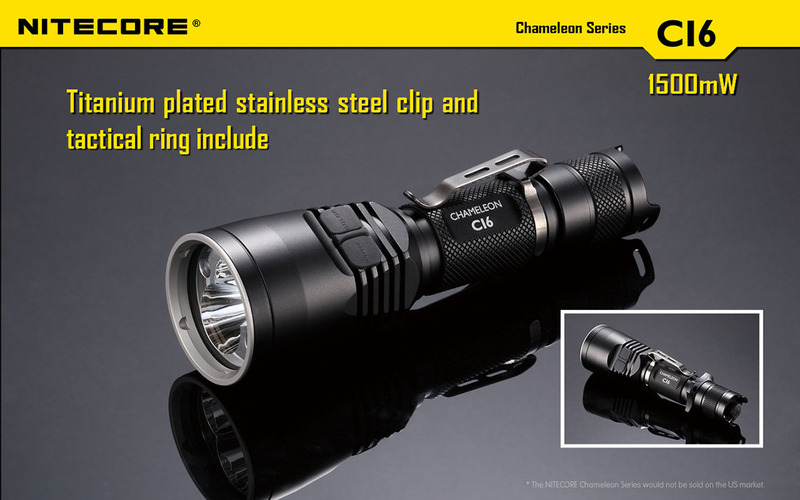 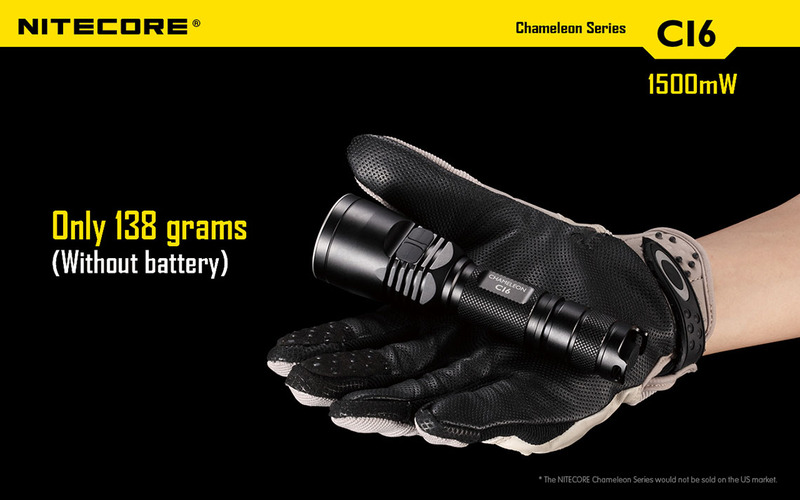 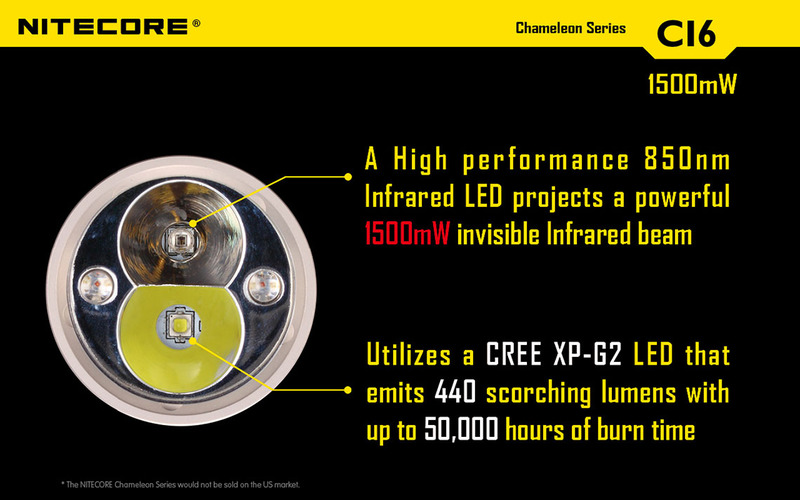 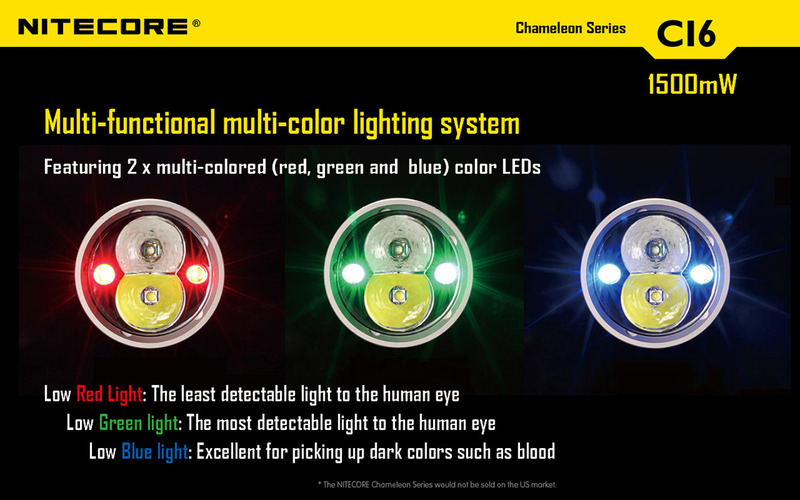 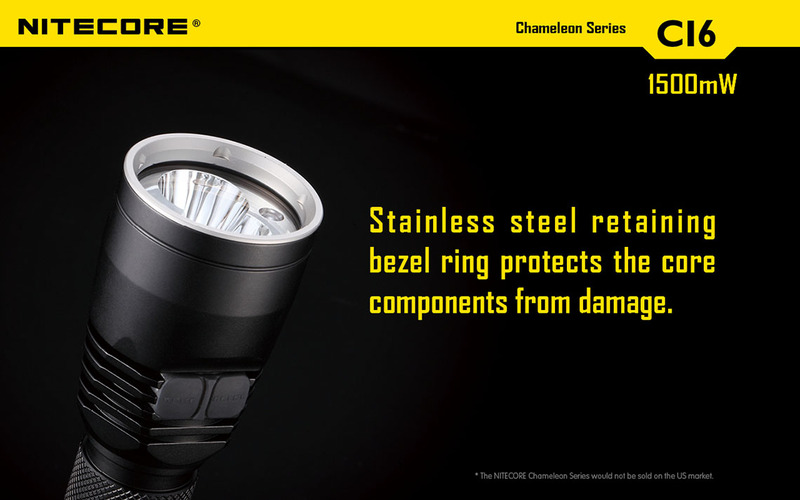 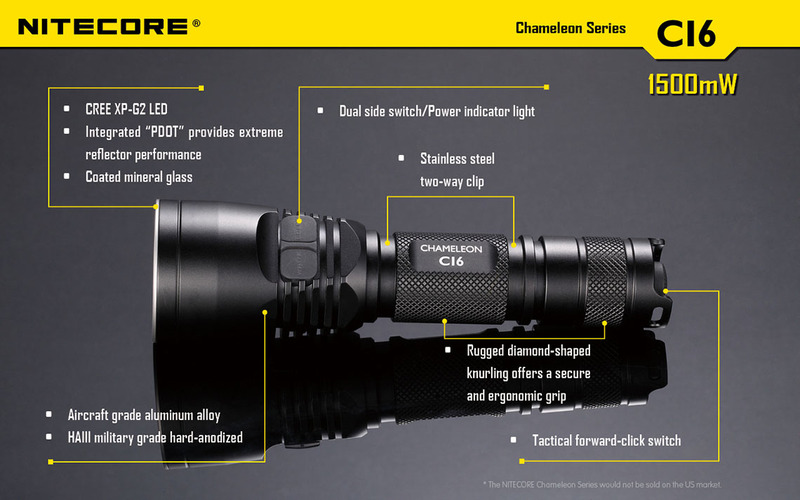 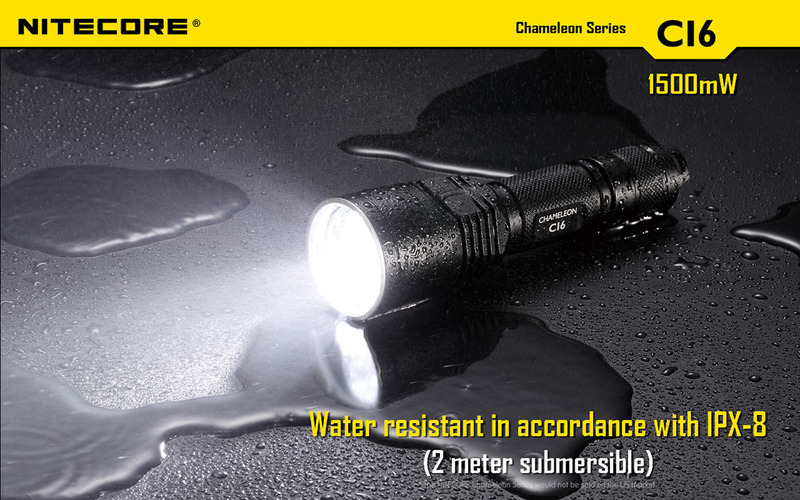 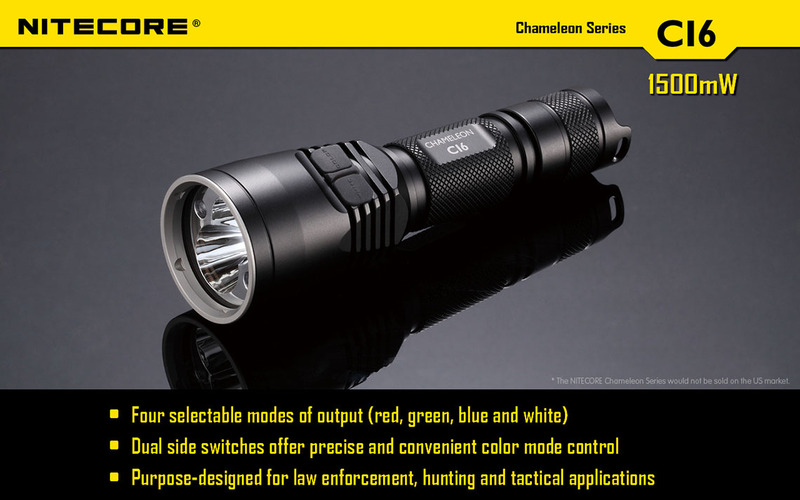 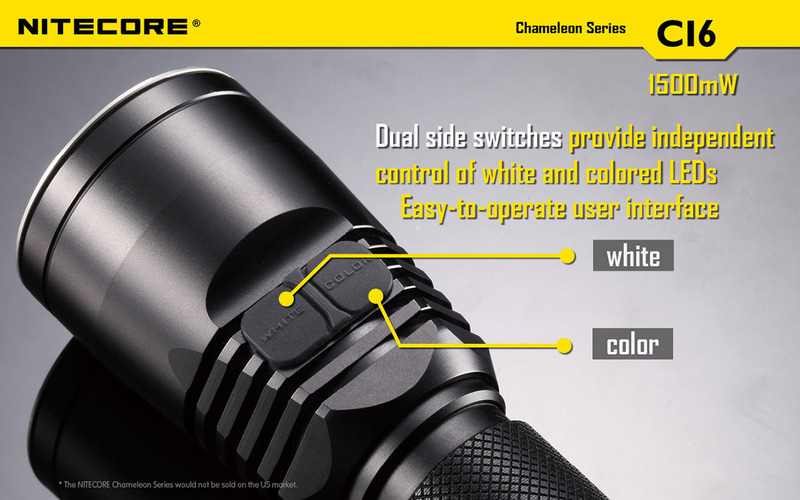 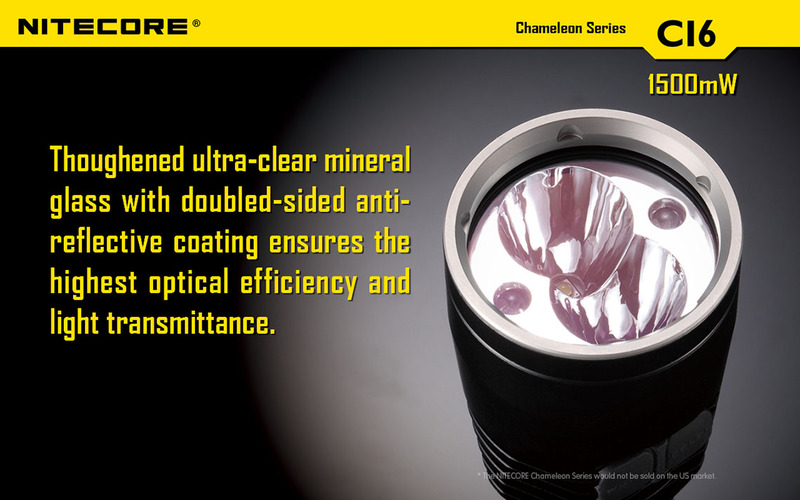 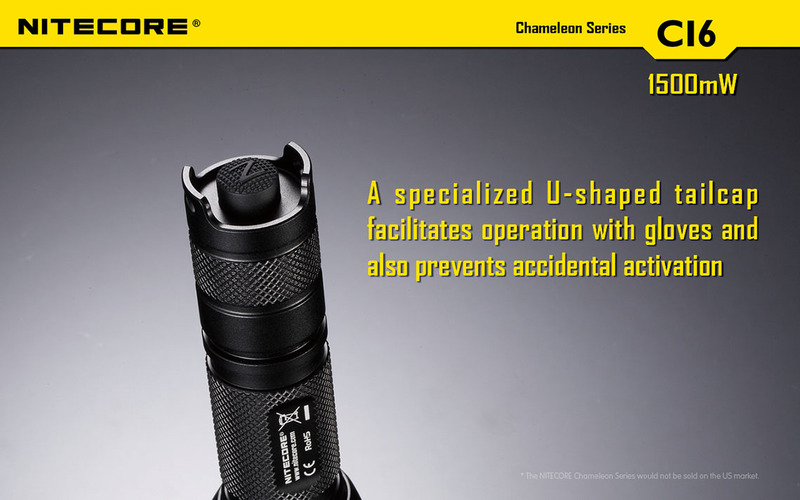 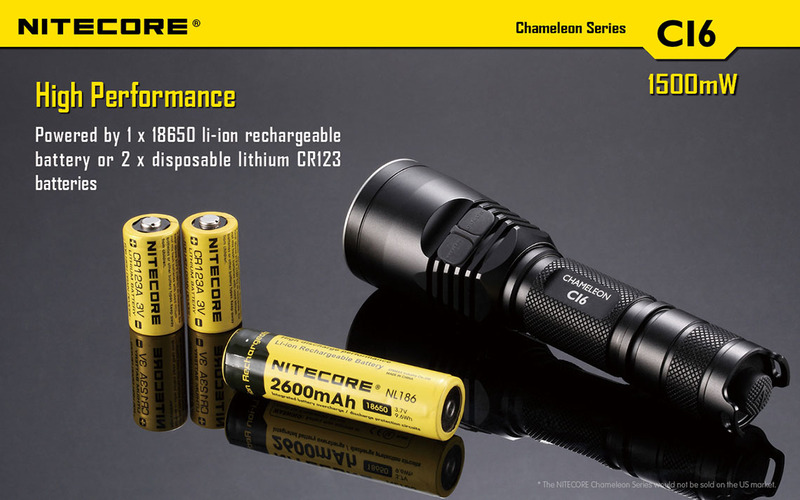 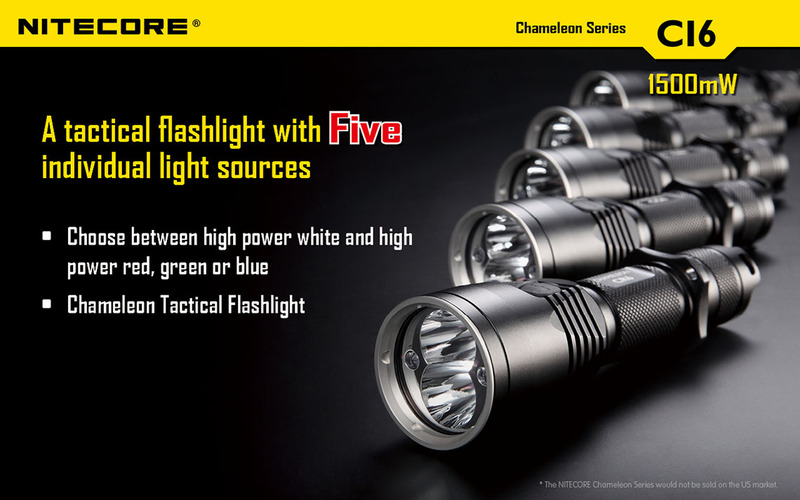 The Nitecore CI6 Flashlight has a CREE XP-G2 (R5) LED that produce 440 Lumens of White Light with Red, Green and Blue LEDs, and it features a 1.5 W Infrared LED for use as a Night Vision IR illuminator. 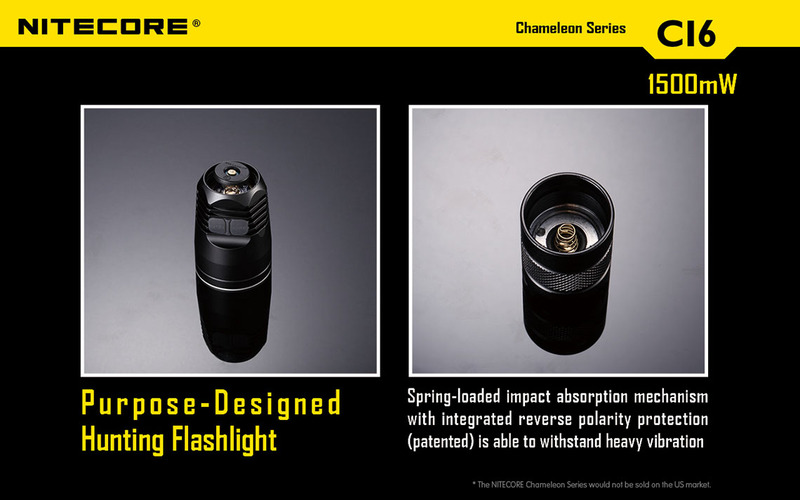 The flashlight has a wide beam with a 190 m Beam Distance. 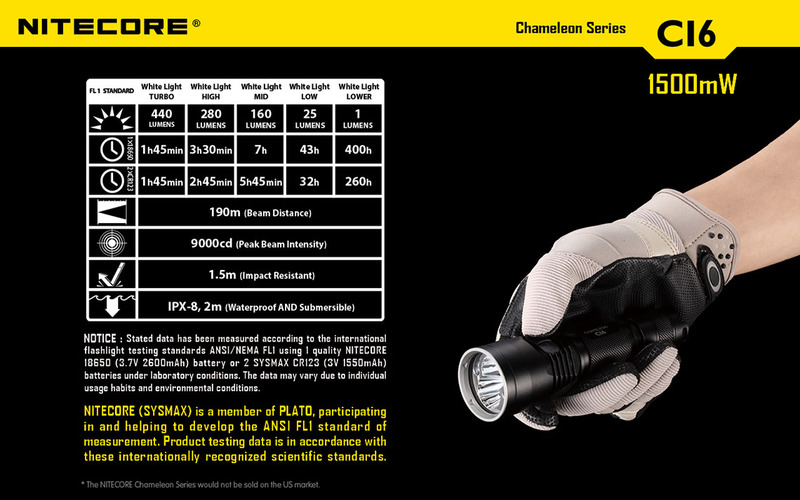 The added 850 nm 1.5 W IR illuminator is a great feature which is a good alternative for a dedicated IR illuminator. 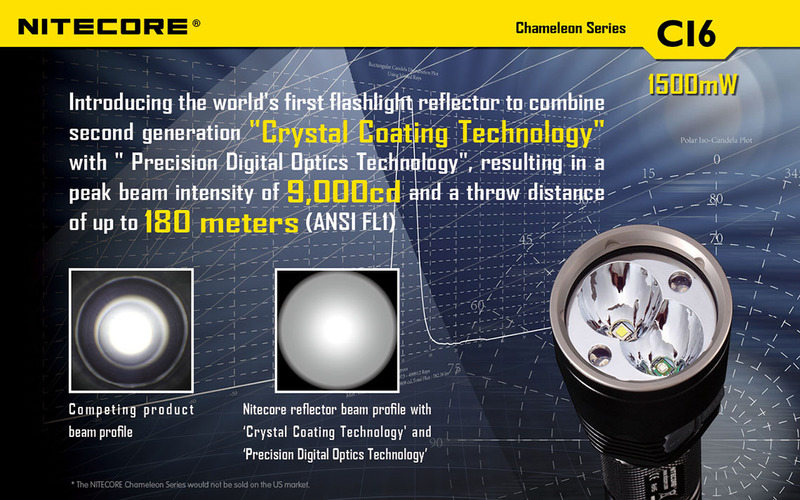 For use as an IR illuminator it is large and most suitable for weapons mounting. 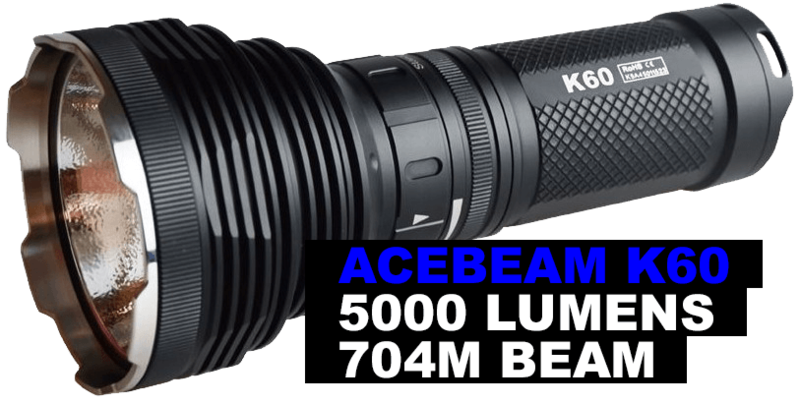 The 850 nm LED is better for Gen 2 Night Vision devices (810 nm is better for Gen 1), and for Generation 1 it has about a 100 m night vision range.